The history of Ondo-Ekimogun sprang from the Palace of Alaafin of Oyo in the ancient city of Oyo when the wife of Oba Alaafin Oluaso bore him twins (a male known till today as Orere and a female also known as Olu) which is forbidden in the Palace of every Oba in Yoruba land. The then Alaafin of Oyo love the twin’s mother called Olori Olu so much and on hearing the news of the newly born twins, he lamented that this is a mysterious child “Ese-omo-re” which later transform to Osemawe as Oba’s title in Ondo Kingdom. The twins were accompanied by the Alaafin of Oyo warrior’s leader called ija or Uja with their mother to a place called Epin in the then Fulani Kingdom. They later return to Oyo after the death of Alaafin Oba Oluaso in 1497 AD. The new Oba Alaafin Onigbogi also ordered them out of Oyo in 1498 AD with Alaafin warrior leader to the direction of Ile-Ife. They continue the journey until they reached a place called “Ita Ijama” This is how Ondo are referred today as “Ekimogun ara ita ijama”. They continue with their journey until they arrived at Epe where Iyanghede of Epe received them with joy and splendours Royal hospitality treatment. This is how Ondo are referred today as “Omo Mude agogo mu omi”. At the hill, they spotted a smoke rising from below and followed that direction down the hill and saw a man who simply identify himself as Ekiri neither a farmer nor hunter but a lost warrior from Ado Binni (now Benin City) who could not trace his journey back to his origin but decided to stay back at that particular spot where he was located through a smoke rising in the air with no wife or children. He lives in a Hut (Awue – re do mi) which he eventually vacated for the Royal Princess as a mark of honour. The man (Ekiri) later lead them to a particular ground known till today as Oriden where they tried to stick their yam stake prove futile as instructed by an Ifa Oracle before they left Epe. They were all happy and exclaimed “Edo do, Edo du do, Idi edo” which finally transmit to Ode Ondo during the ancient days. Princess Olu, the female twins also known till today as late Oba Pupupu finally became 1st Osemawe of Ondo in 1516 AD while Prince Orere the male twins also became the 1st Jegun of Ile Oluji. The other historical Royal mark are cut unto the right breast of the descendant of past Osemawes from both male and female lineage with prestigious birth right to Otunba title as known and practiced till today. The Royal families and Otunbas title bearers in Ondo Kingdom are headed by Olotu Omo -Oba (Lotu Omo-Oba-in-Council) with official quarter at Oke-Otunba and its environs. The Ondos are known to be traders, farmers or produce merchants. Their staple food is iyan (pounded yam) made from yam. The Ondos have their own peculiar dialect and very hard working. It must be noted however that Ondo emigrants settlers also founded many towns like Igbado, Igbindo, Ajue, Igburowo, Odigbo, Oro, Imorun, Ilunla, Erinla, Igunshin, Araromi, Araromi Obu, Ajebandele, Agbabu, Oboto, Bolorunduro, Fagbo, Tekuile, Owena, Oke-Opa, Aiyesan, Laje, Oka, Oke-igbo and etc. Although, we have lost some villages now towns such as Ajue, Odigbo, Ore, Agbabu, Ajebandele, Omotosho and etc to the creation of old Ifesowapo Local Government now Odigbo Local Government with its Headquarter at Ore. The first Osemawe Palace was built by late Oba Airo (first son of Oba Pupupu) who became 2nd Osemawe in 1530 AD. Late Oba Adeuga Fidipote 11 built the first ancient modern Palace in Ondo when he became 40th Osemawe in 1935 AD while late Oba Festus Ibidapo Adesanoye – Osungbedelola 11 built the multimillionaire and befitting Osemawe Palace in Ondo after he became the 43rd Osemawe of Ondo Kingdom in 1992. The Ondo Chieftaincy title groups are the Iwarefas, Ikules, Elegbes, Ijamas, Olojas and Baales headed by the Osemawe. The Upoji Chiefs (Female Chief) is headed by Her Royal Highness Olobun of Ondo (Oba Obirin – Female Majesty). The Popular traditional festivals in Ondo are as follows, Odun Oba, Odun Ogun, Odun Oramfe, Odun Moko and etc. 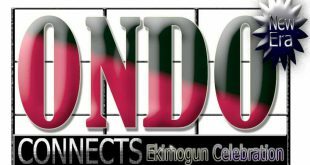 The recent society modernisation or civilisations of the 21st century generation enhance us to enact Ekimogun Day Festival for developmental efforts with aspiration to bring all Ondo sons and daughters together every year to celebrate our heritage. 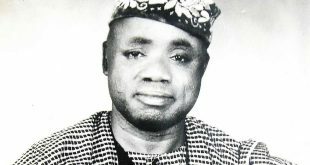 I pulse here with due respect to honour and say kudos to His Eminence, late High Chief Ilemobayo Oreoluwa Akinnola MFR ‘Ojo Gbogbo Bi Odun’ (Lisa of Ondo Kingdom 2001 – 2013) who mute the remarkable and historic idea in 1987. The Ondos embraces Roman Catholic Christianity in 1875 and accepted by late Oba Ayibikitiwodi while late Oba Jimekun accepted the CMS Anglican Communion in 1884 and Islam in 1888. The first Ondo citizen Catholic Priest late Rev. Father John Akinwale was ordained in 1947. The first Ondo citizen to be ordained as Anglican Bishop was late Rev. D.O. 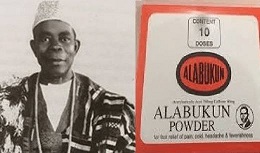 Awosika while late Rev. T.O. Olufosoye was the first ondo citizen to be ordained as Archbishop of Anglican Communion Diocese of Nigeria. The first Chief Imam of Ondo, Alhaji Muhammed Alimi was installed in 1888. In conclusion, the Ondos are not proud as other people think but we usually defend our integrity at all time with genuine facts. 1. Other Cities or Towns people may see us in that direction simply because of our culture and orientation as a pure Ondo origin. Even though, at a sojourn host City or Country we are easily differentiated among other tribes in Yoruba Nation. 2. We like to accommodate people quite a lots and we always stand by our conviction irrespective of whosoever involved. We are not blessed with the attitude to tolerate any nonsense from anybody or anywhere by retaliating against any form of cheating in all ramifications. 3. Our dress code traditional attires simply dignified us in any society and we are easily noticeable by our public interactions at every level that we found ourselves. We also have a unique charismatic and unquantifiable good sense of humour that distinguishes the Ondos immensely from every other tribe in Nigeria as a whole and even Worldwide. 4. We are known as pace-setters and we always wage unplanned and successful war against any known or unknown oppression or oppressors. 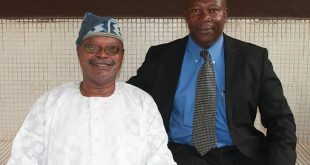 The Ondo’s are well recognized all over the World as pace-setters in every areas of life. We always lay the standard that other Community, Group of People and Associations has to follow in the society. Here we are today with the Special Grace of God. 5. The Ondos are known for a pride, proud of what they represent and we enjoy been well educated with civilized enlightenment. We believed in ourselves so much that make it difficult for us to be a servant for too long in any capacity. We magnificently cherish to be our own master of our various businesses or captain of industries. We are not proud as people think about us but we are genuinely stubborn to a fault. Authored By, Otunba Damilola Oladimeji POH, ECHGA, GIOU.